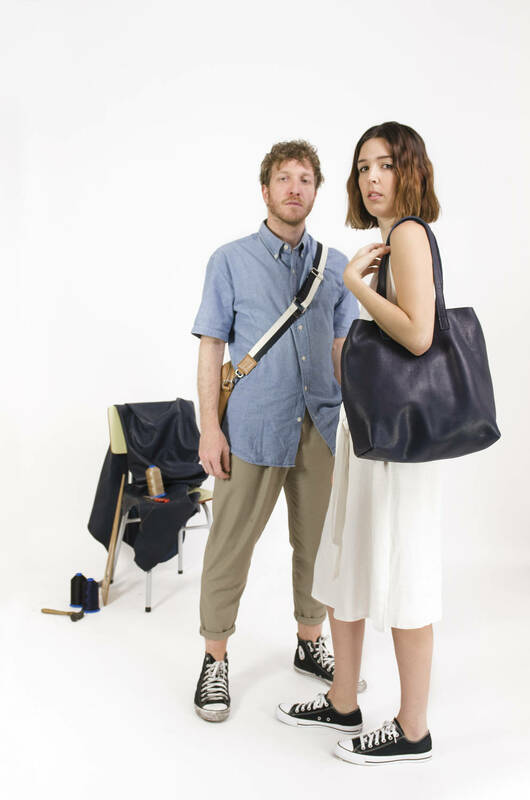 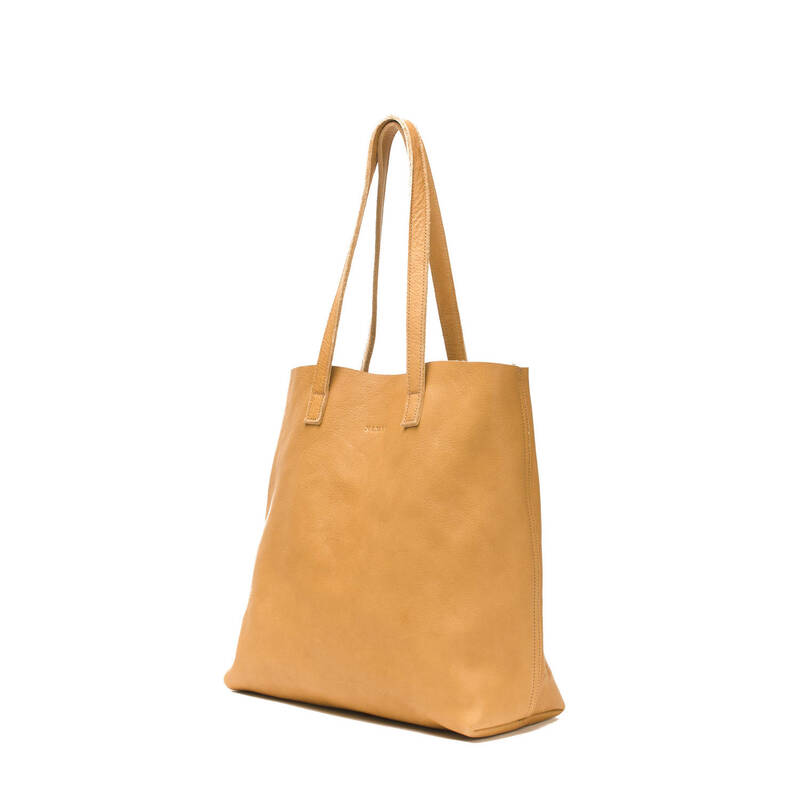 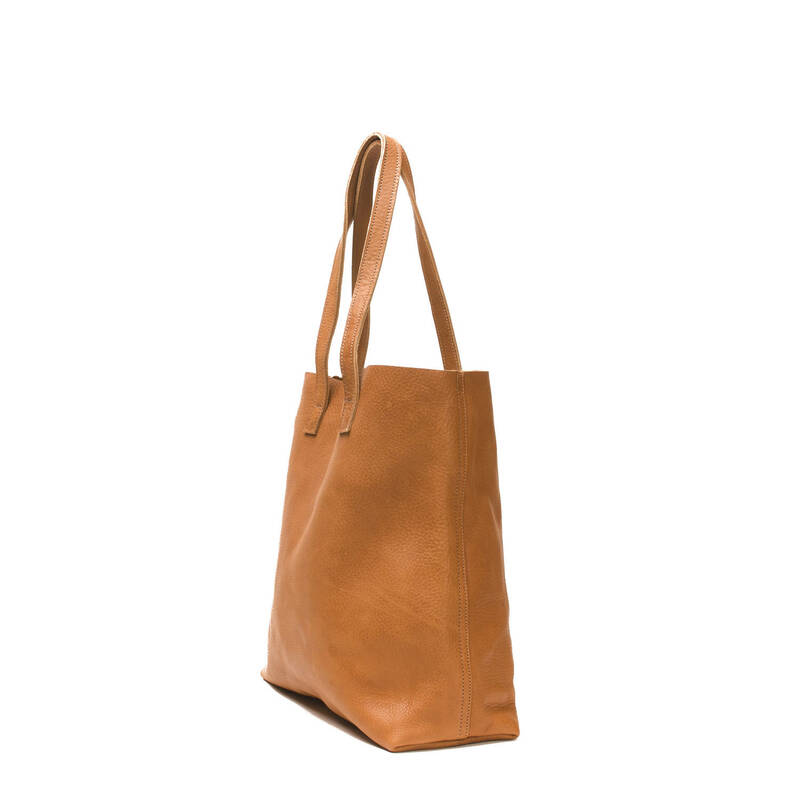 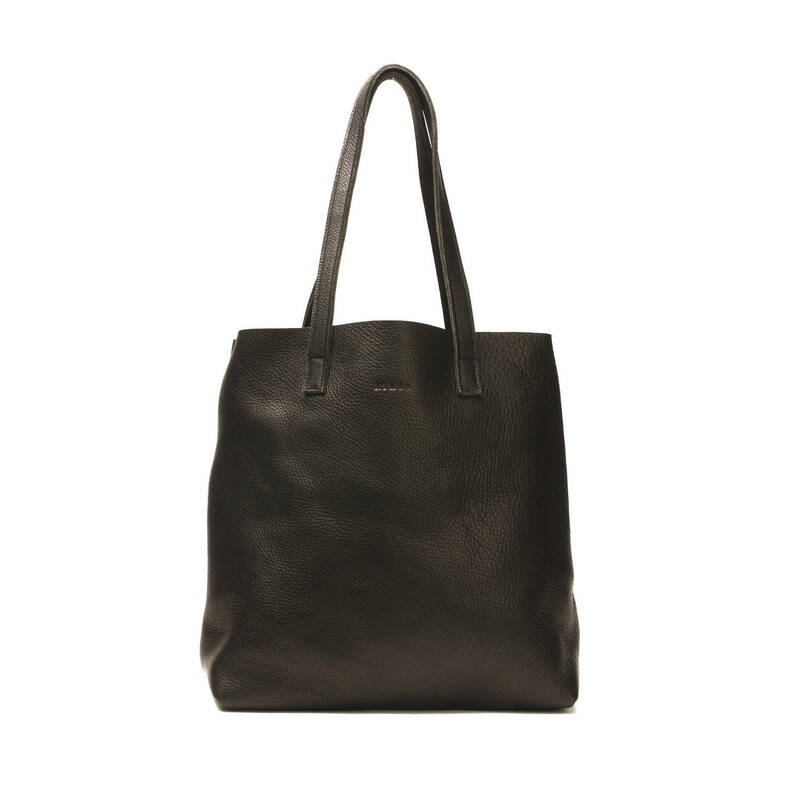 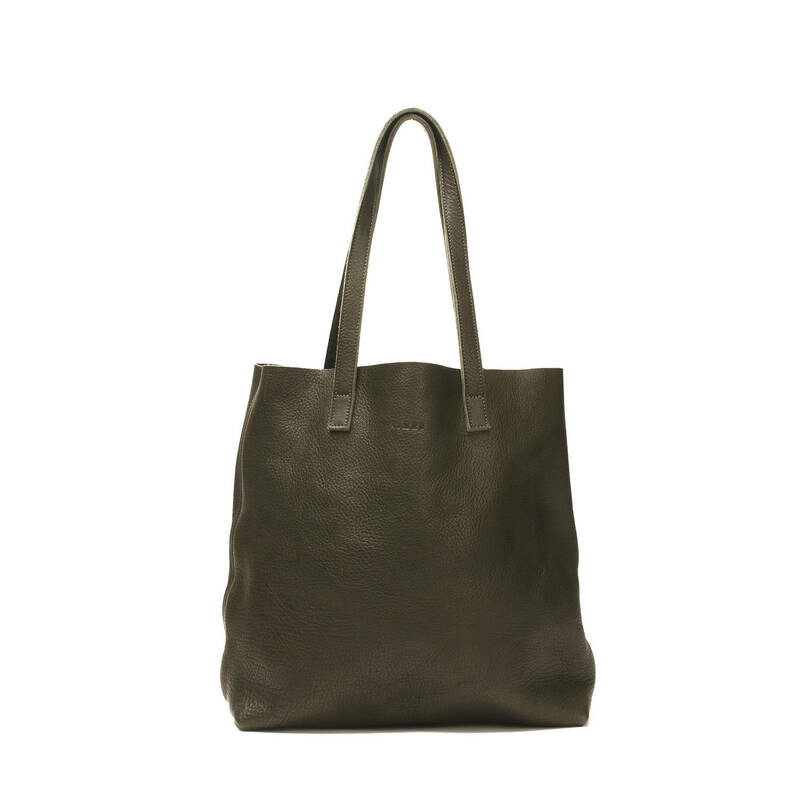 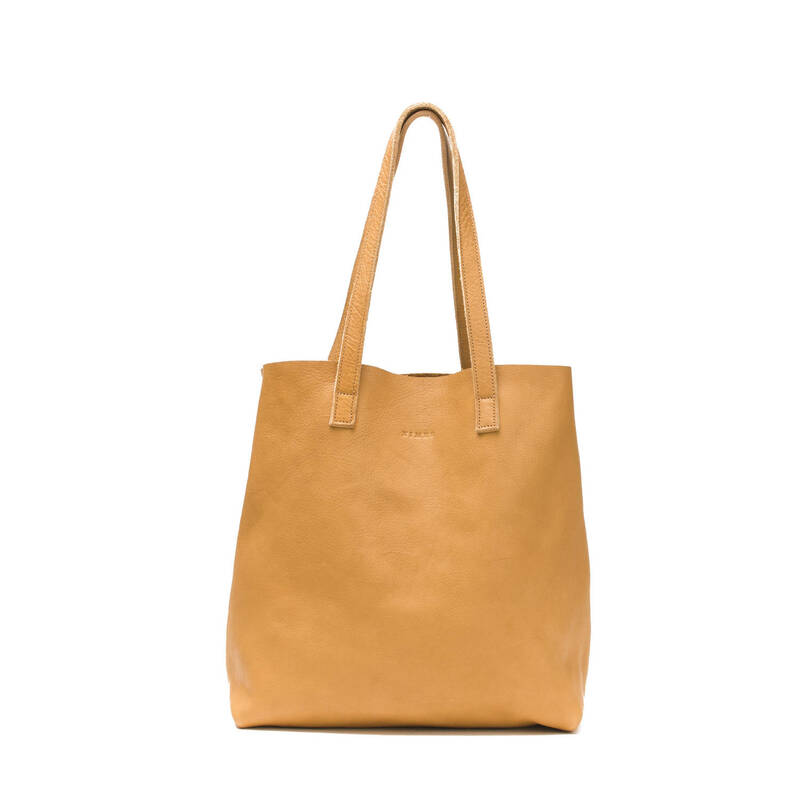 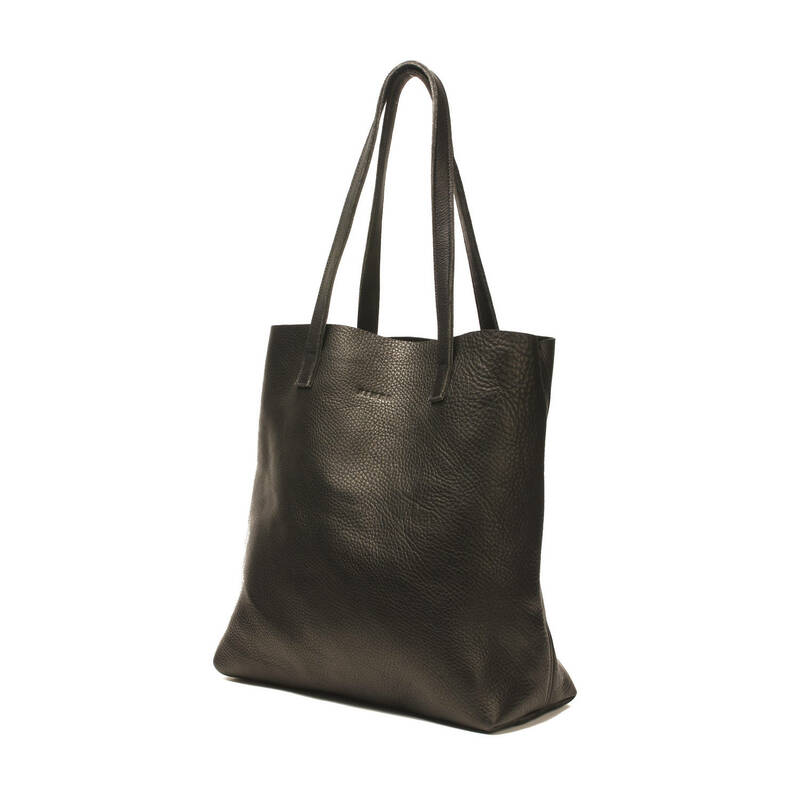 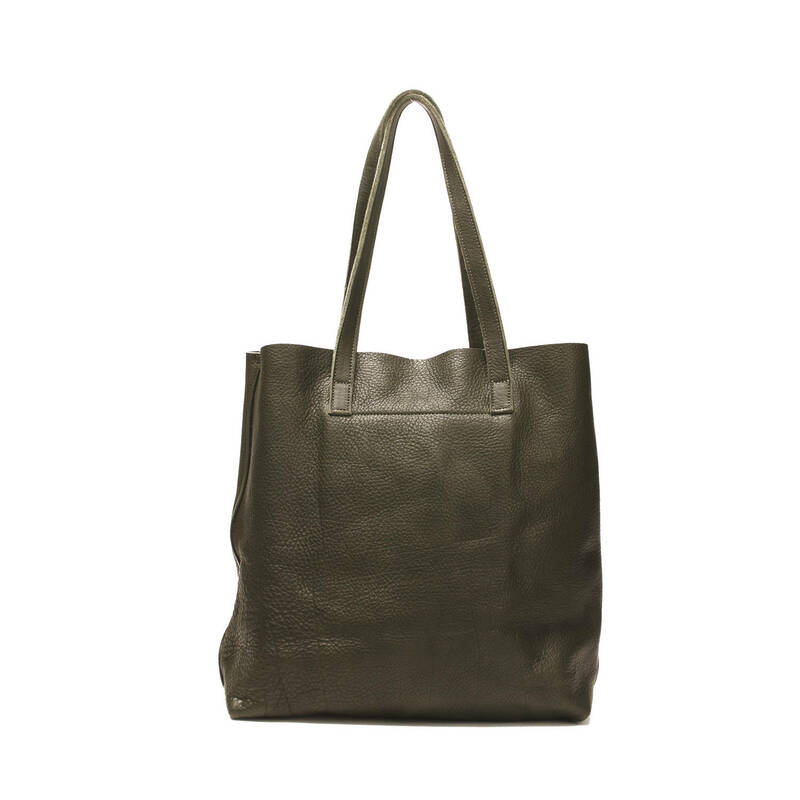 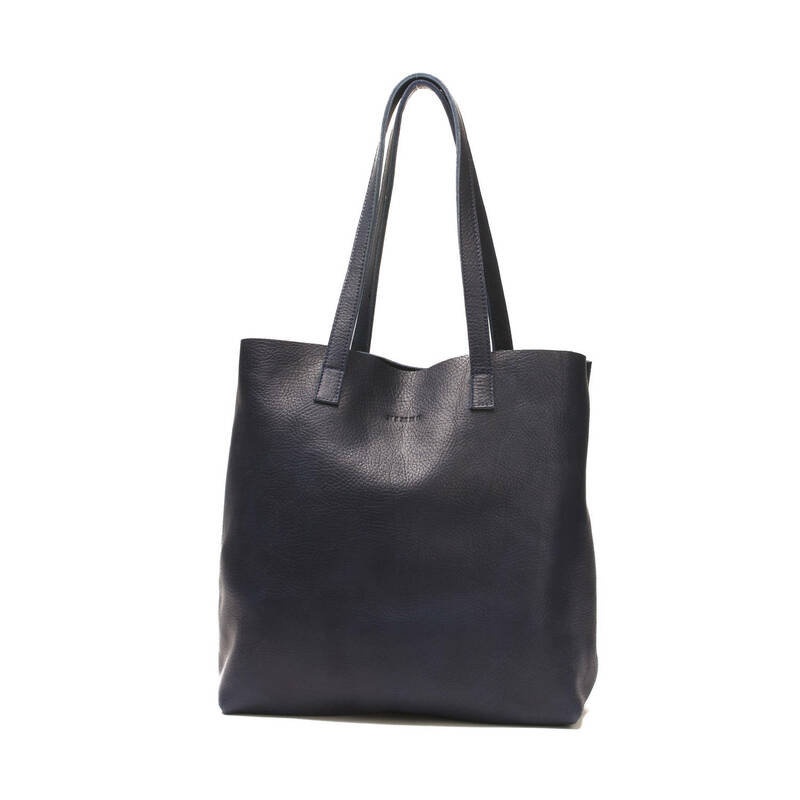 Vegetable tanned grain leather shopping bag. 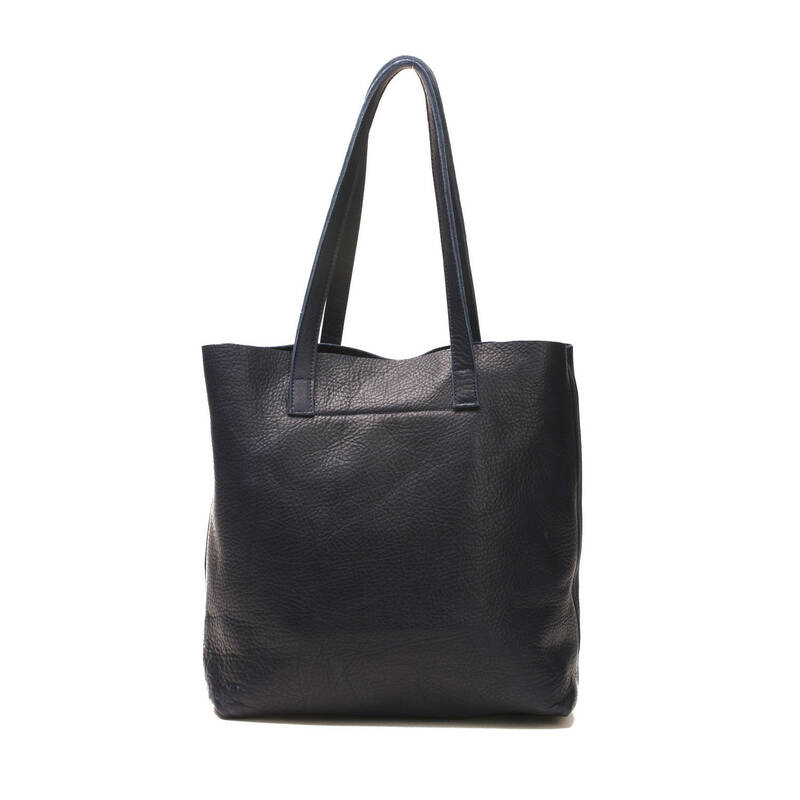 Internal pocket with zipper closure (7,8 x 6,7 ̈). 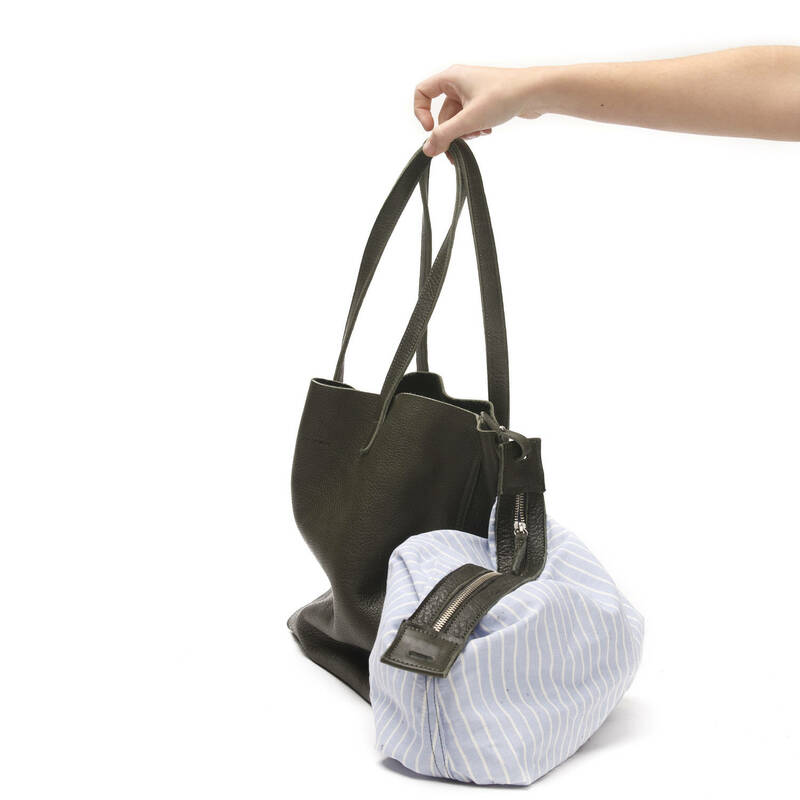 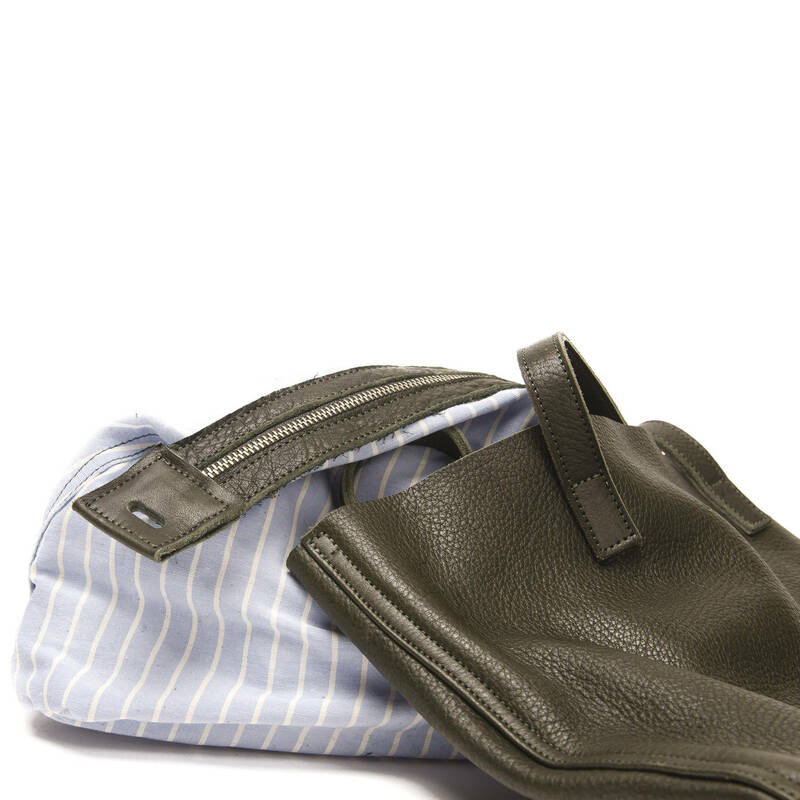 Removable striped fabric bag inside with zipper closure.